At AEIB, we manufacture a wide range of industrial appliances for ventilation, all of which are adapted to extracting or blowing air and heating up ambient air. 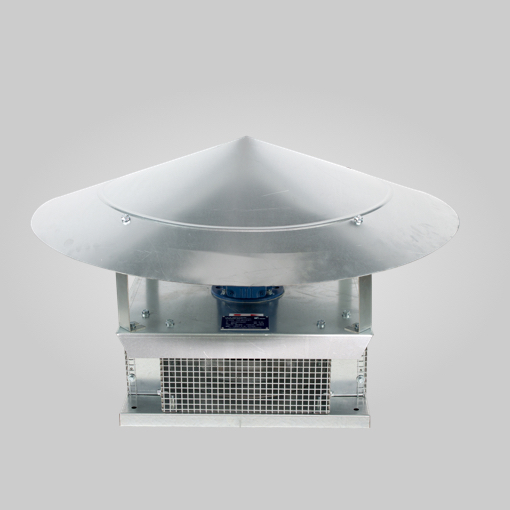 In our range of equipment for ventilation, you will find air extraction turrets used for ventilating exhaust fumes, gas or toxic vapours. 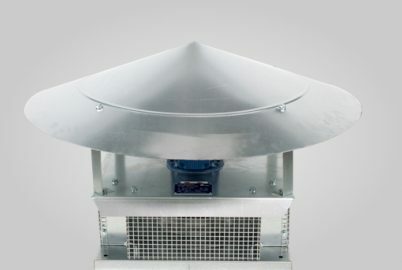 The extraction turrets are designed to be installed on the roof of the building to extract air polluted with dust, fumes, vapours, toxic vapours or corrosive fumes. This equipment used for air extraction is not only designed for the industrial sector, but also for the tertiary sector, professional kitchens, sanitary units, agricultural buildings or even collective housing. Large volumes of air can be sucked up by the extraction turrets, either vertically or horizontally, depending on how the turrets are fitted: Smoke or air can be extracted from inside the premises and directly evacuated outside the building. Conventional extraction turrets are built with: a cap and galvanised steel baseplate, inlet filter, a reaction -type turbine or propeller and standardised engine. 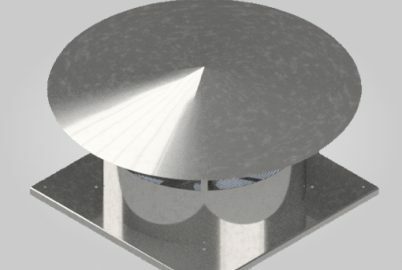 Specific materials are chosen for extraction turret construction. 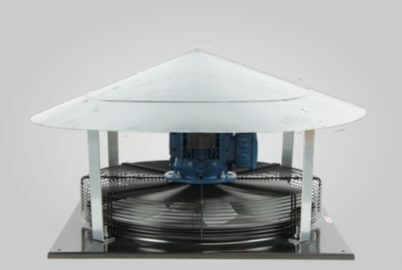 Given that they are often positioned on the outside of the building, it is important that they resist corrosion and withstand outside weather conditions (steel version available upon request). As with our range of industrial fans, the extraction turrets are all manufactured in our workshops in France by highly qualified technicians, trained in the steel industry and in welding. All our industrial machines as well as the certifications on which we rely mean that all products are manufactured to the highest possible standards from the raw material stage through to the final performance test phases. Feel free to have a look at our range of ATEX products as well as our ventilation accessories.